Sunny, light and bright, crisp early spring morning in Helsinki, Finland. Our home away from home a beautiful old wooden villa, on a back bay, train tracks visible and audible, a network of walking trails, the leaves on the trees still tightly curled, sparkling blue water. 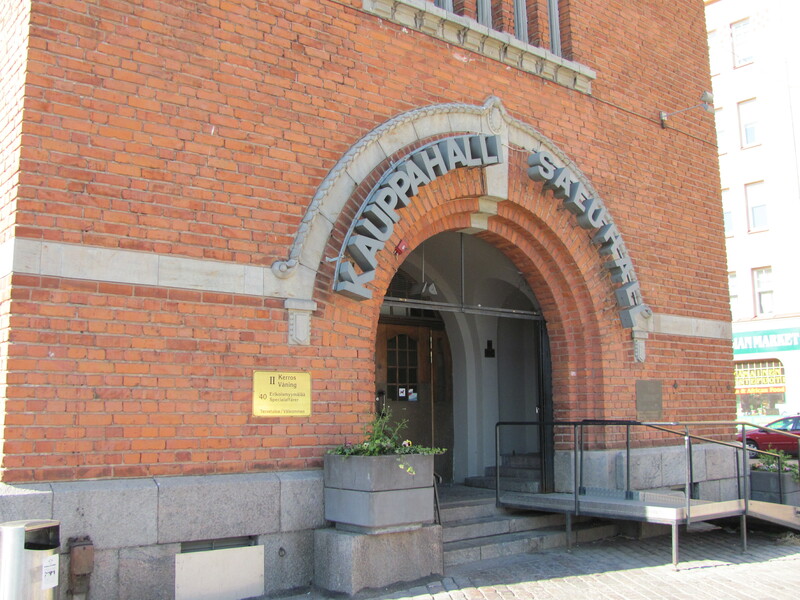 And to my delight – within a short walk along the bay – the best market hall in Helsinki. 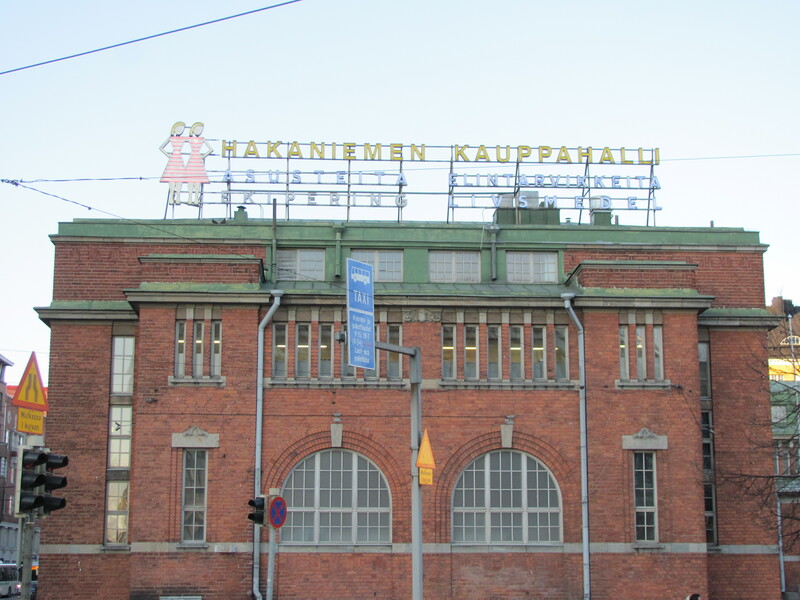 The Hakaniemi Market Hall opened in 1914. Inside, 60 shops offer fresh fish, vegetables, fruits, breads, cheese and sweets on the first floor, with handcrafts, fabric, gifts on the second – including a Marimekko booth. Outside in the summer season, on the adjoining square, an outdoor market adds to the riches of fresh and local foods. Our first meal on Finnish soil, salmon on hearty rye, open-faced. Perfectly simple, delicious and affordable, soothing balm for jet-lagged souls, a taste of home. 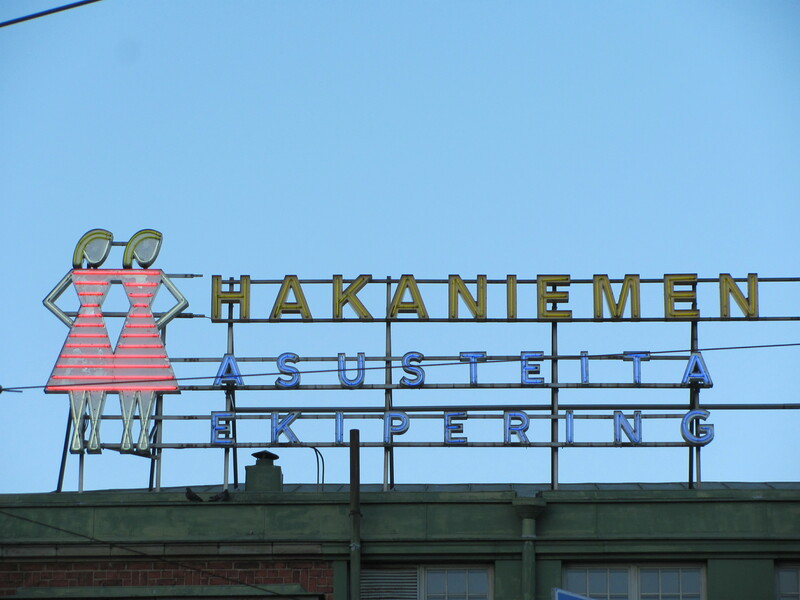 I’ll be back every day possible – for fresh and prepared foods – and hopefully a little Marimekko shopping.